Nothing gives your business more credibility than your online presence. Narrative, Intuitive, Convey Trust, Provide Value. The online world is no less than a jungle. The competition is fierce and growing aggressively by the minute. 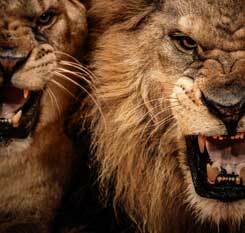 To become the king of this jungle and conquer the web, it’s more than just ‘survival of the fittest’. You need to implement strategies that help you stand out and take the lead. And this is where we, GoWebLive, can help! 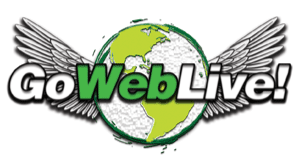 At GoWebLive, we have the experience, the expertise and the knowledge that enables us to provide you with the best solutions, helping you devour the competition and rule the online turf by ranking high in the SERPS. Specializing in web design and development services in Cleveland, we can custom design an eye-catching, user-engaging, high-converting and search engine friendly website for your business. We can design and develop a website that delivers the ultimate site user experience and simultaneously adds value to your business. Powerful and Responsive Web Designs That Deliver Excellent User Experience across Devices. At GoWebLive, we are abreast with the latest technology developments. This gives us the edge and helps us transform websites into money-making machines. We create powerful and custom web designs that help you establish a strong brand identity over the web. Our designs are both high performance and affordable. With us, you can get the highest quality, user-friendly and intuitive websites at a very competitive price. Our designs are powerful in every sense of the word. Unlike static websites, our web designs are responsive and fluid, delivering the optimal site viewing experience across all devices (including desktop PCs and smartphones) and browsers (such as Firefox, and Chrome). When designing websites, our design team makes sure that the designs are brand and user-focused. This assists with brand building and increases brand recognition. Our sites are user intuitive, featuring easy navigation. This helps deliver a superior website browsing experience and keeps the user hooked to the website, thereby increasing the chances of lead conversion. We Know How to Attract Targeted Leads, Improve Search Engine Rankings and Conversion Rates. Leveraging on our skill, we breathe life into the design created by our design team. We make sure that the website is not just visually appealing but also highly functional. From ensuring that the site is SEO friendly to building a customized CMS so that you can update your site content easily without any additional cost complex programming know-how, at GoWebLive, we pay attention to every little detail that can improve the performance of your website. Our goal is to develop web designs for success, and we take pride that this goal is achieved by our team every time. Unlike other web design & development companies that often compromise on speed to deliver a great web design, at GoWebLive, we pay special attention to page load time because we know that every second counts and understand how the load time can negatively impact your bottom-line. A study shows that roughly ½ of the website users tend to abandon sites that don’t load within 3 seconds and that approximately 79% of online buyers who experience trouble with a website performance don’t return again. And this is exactly why our team makes sure that your site loads fast and is quickly accessible by your audience. Furthermore, to improve your business search engine visibility and brand credibility, our developers ingeniously integrate different online marketing mix elements together like integrating your social media pages to your website. Social media integration helps improve your web ranking and also helps you bring your followers on social media to your official business website, increasing your chances to convert them into sales.